You can be a nice person and buy this for your sister, that's the first option. The second option is to buy it for yourself, and deem yourself the greatest sister ever. The choice is yours. I guess it depends if you hate your sister or not. Lastly, you could buy them for both of your daughters, and watch them fight. 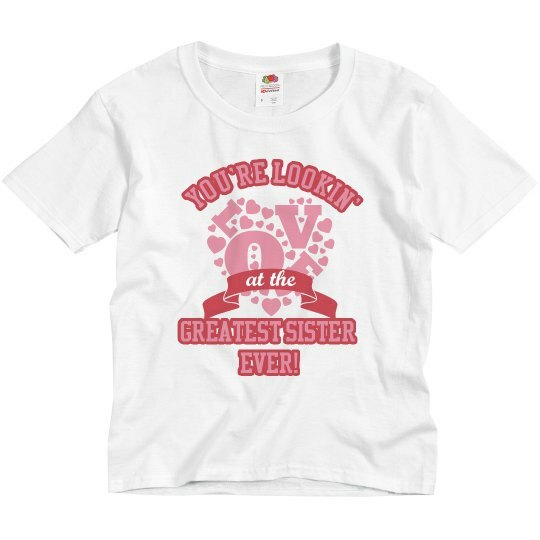 Custom Text: at the | You're Lookin' | Greatest Sister | Ever!